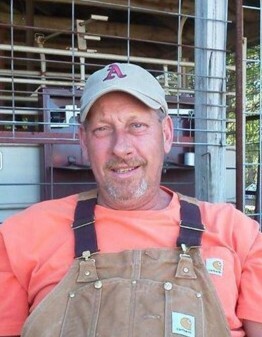 Obituary for Aaron Lee Bardin | Jones Funeral Home, Inc.
Aaron “Bubba” Lee Bardin, age 56, of Crossett passed away on Thursday, March 29, 2018 at Baptist Health Medical Center in Little Rock, AR. He was born October 27, 1961. Mr. Bardin was retired from the Georgia Pacific Extrusion Plant. He enjoyed hunting, fishing and hog baying with his dogs. He was preceded in death by his parents, JB Bardin and Margaret Ann Duncan Bardin and one sister, Charlene Bardin Mosley. Survivors include his only brother, Karl Bardin; one nephew, Jason Bardin; four nieces, Leslie McBride, Rachel Richter, Jessica Cason and Anna Gail Bardin; one great nephew, Mason McBride; three great nieces, Kylee Johnson, Karlee Johnson and Kenslee Richter, all of Crossett, AR along with a host of other family, friends and loved ones. Funeral services are 2:00pm on Monday, April 2, 2018 at Jones Funeral Home Chapel. Visitation will begin prior to the funeral service at 1:00pm.